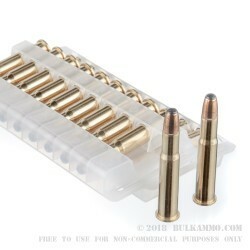 A very interesting cartridge for the lever action shooter, it is not as popular as it once was, but that takes nothing away from its hunting prowess which includes more power than the .30-30 and significant potential in the 100-250 yard range. 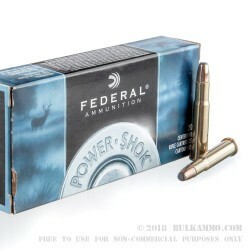 Federal is a massive company that has incredible production capacity and for the shooters of cartridges that have fallen a bit out of the mainstream distribution channels and which aren’t heavily produced anymore, it’s great to have a company with the top tier production facilities and the mindset that Federal does, to keep producing ammunition that is on the highest performance levels. 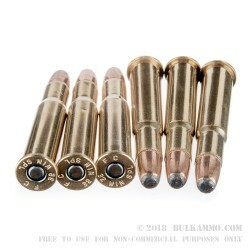 The .32 Winchester Special is a very capable round for big game and while there are other cartridges that can do what it can, it’s a unique and beloved cartridge by many. Having the option to share with kids and grandkids, what you shot as a youth is always a special opportunity for the legacy factor alone. 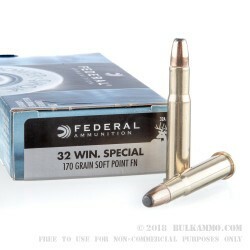 But the significant performance of the round and the rolling recoil profile of the big, old round means that you get consistent, repeatable performance and feel from the cartridge.